Benchmark Games is unique as there has been no previous study of an individual Paralympic Games. 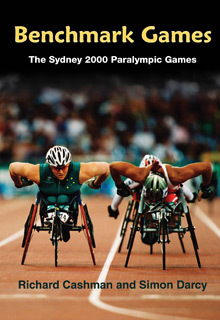 The book documents and analyses the new benchmarks that were set at the time of the successful Sydney Paralympic Games. Benchmark Games explores many questions about the appeal of the Games to the community and disability sport and the place of the disability community in Australian life. This book gives a wonderful insight into the background and running of the Sydney Paralympic Games and the legacy it has left (Karen Tighe, Foreword).